I love these posts Taylor, making me smile too! I'm not only smilling but also thinking to purchase the bracelets too! Love the nuances of pink! Great photos.. I too have an endless sweet tooth!! 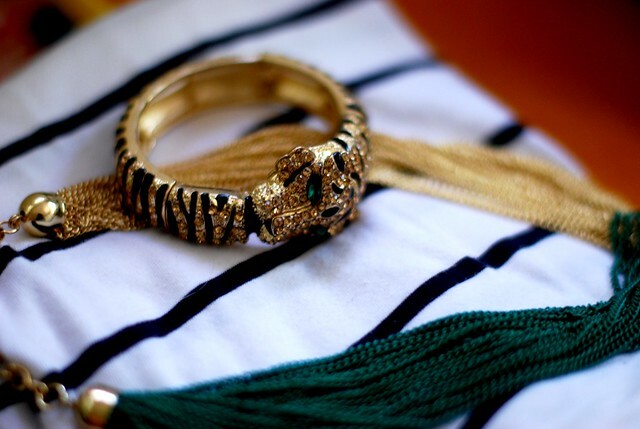 Your new tiger bangle and all that greenery would brighten my day up as well! 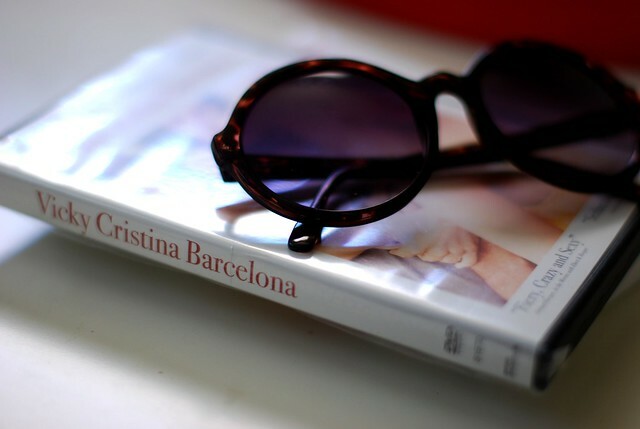 Blogposts like this make me smile:) Vicky Christina Barcelona is a great film! This is a great list - love the polishes!! Ohh! Almost forgot about rock candy until I saw this picture. YUM. Love the bangle. Great pictures! Vicky Cristina Barcelona is one of my favorite movies! No joke, in my college existentialism class, we spent two days watching this movie :) not bad, eh? 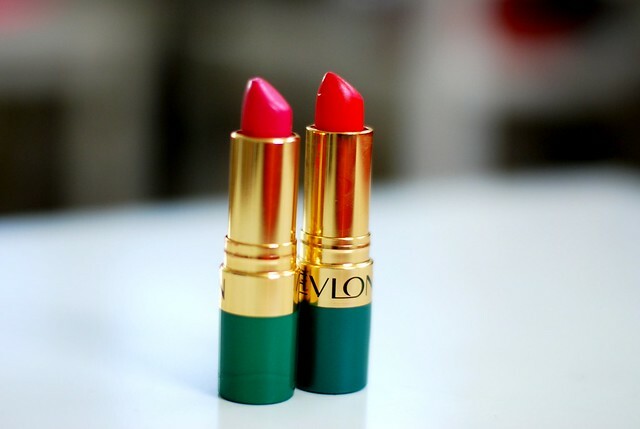 And that pink lipstick?! oh i need that (i already have the orange :) Basically, all of these things mke me smile, as well- so thanks! I love that film, and very jealous of your collection of Essie nail polishes! That is very odd looking candy - where is it from? Middle of afternoon movies == awesome!!!! And I love those Essie colors! Love the sunglasses and nail polish colors! I adore these accessories! I love those plants, too. I adore the essie polish! I love that bangle, is so edgy! Love Love That Pink too! Great color! You have great choices in jewelry and makeup/nail colors. Also, I want to start a candy jar on my desk now. Beautiful things which made me smile also at the start of a long work day. The Essie nail polish and Revlon lipstick are my favourites. Cute polish colors! 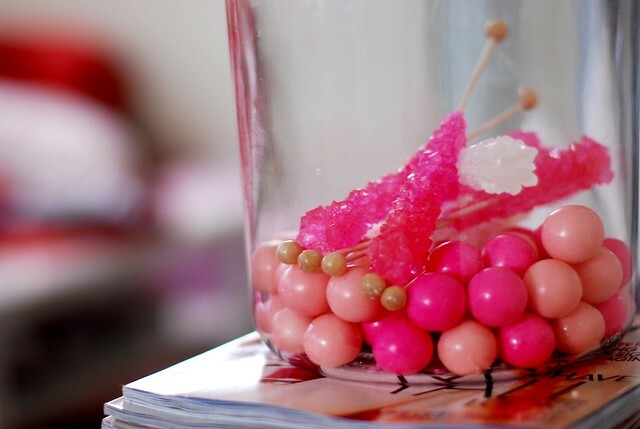 And love the pink gumballs! This is all way to pretty! vicky christina barcelona... one of my all time favorite movies! hope you enjoy it as much as i do, every time i watch it. VCB is an amazing movie. I have a huge SCHWARZKOPF PROFESSIONAL Haircare Giveaway Contest going on right now!! You definitely have to check it out!!! I love the Brazilliant shade! Super cute. And those sunglasses are fantastic! I love that even the most ordinary things can easily become so magical! Essie is the best and I'm loving that coordinated candy jar! 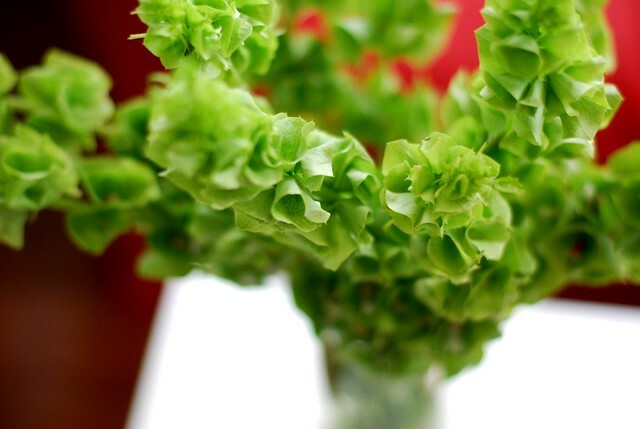 great shot of the flowers - bells of ireland are one of my faves! Great photography! 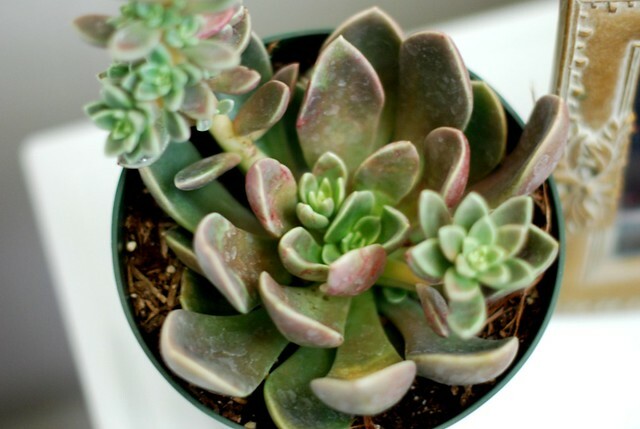 How often do you water your succulents? Cause mine is dying and I dont know if its from over or under watering.